Charcoal grey floral net jacket. 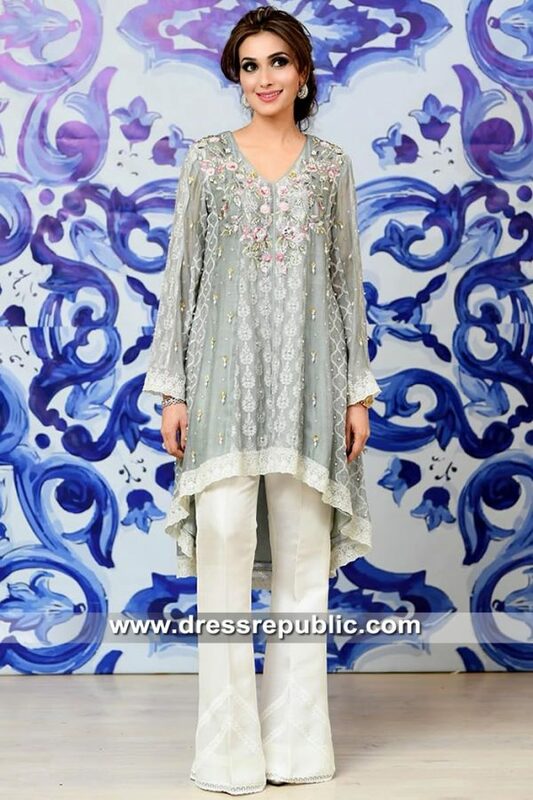 The neckline is enriched with rich embroidery and embellishments; green jamawar borders all around the hem. 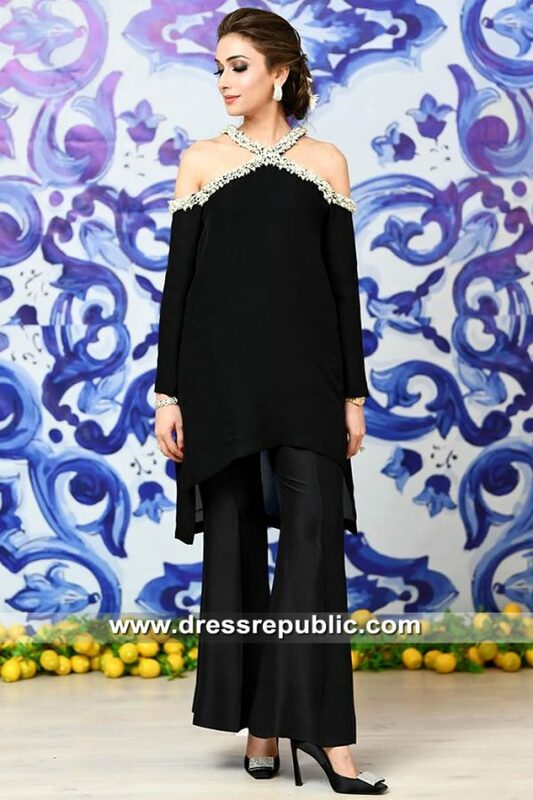 Full sleeves having embellished cuffs. Plum jamawar frock inside having velvet bodice; embellishment detailing on neckline. Beige raw silk straight pants.